It's time to decide which creature is the best once and for all! 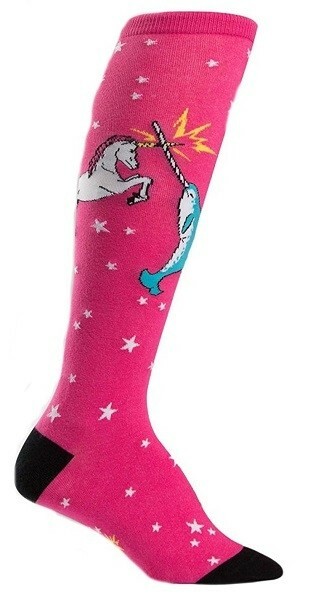 With these 64% cotton, 34% polyester, 2% spandex socks, you can show the clash between mythical creature and real-life ocean creature in vibrant color. 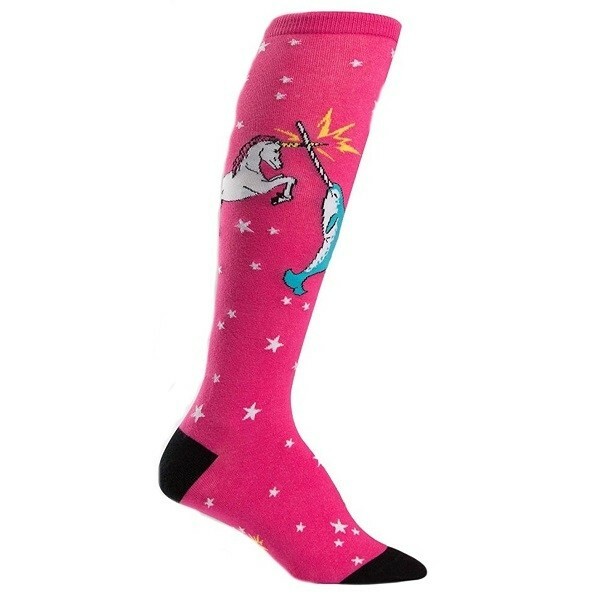 Available in one size which fits most women's shoe sizes 5 - 10.